We are the ZK/U in Berlin: production site, artist/research-residency, program platform. In our work we connect local practice and global discourse. Get involved! We direct our work along specific research themes that are meant to inspire open discussions. Like ourselves, our discourses change over time. 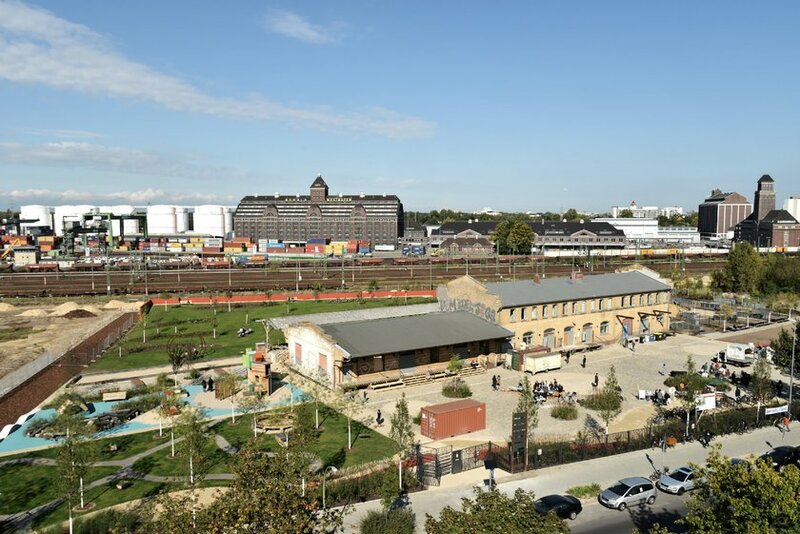 A new, innovative venue offering artistic and research residencies of 2–12 months duration for art production at the interface of urban research opened its doors in summer 2012 in the district of Moabit in Berlin-Mitte, on the edges of Berlin‘s largest inland port, Westhafen. Our formats are established ZK/U Projects that have turned into re-occuring cultural practices, now taking place on site regularly. Our projects are artistic, research-related, socially relevant and often international experiments that can eventually turn into ZK/U Formats. Satelites are ZK/U initiated projects happening outside of the physical space of ZK/U, or are organized by collaborators and partners at ZK/U. The FEVALA is our Cafe and Bar on site. It is open for events and from beginning of May until the end of September. Opening hours may vary. ZK/U Press is a division of ZK/U, focused on publishing critical content on urban issues. It is giving artists, architects and researchers a forum to discuss, archive, documenting their work.